You must make reservations at least 5 minutes in advance of the time at Cane Rosso - White Rock. Plenty of parking available in the lot in front of the restaurant. 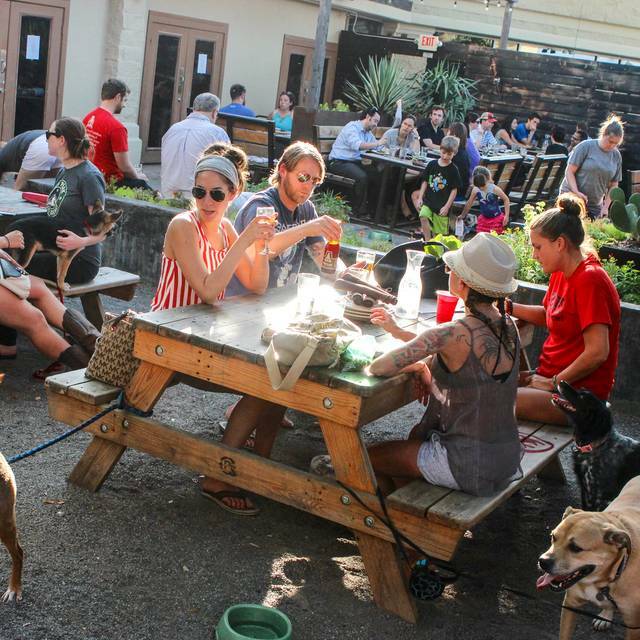 Large dog friendly patio and outdoor tiki bar. 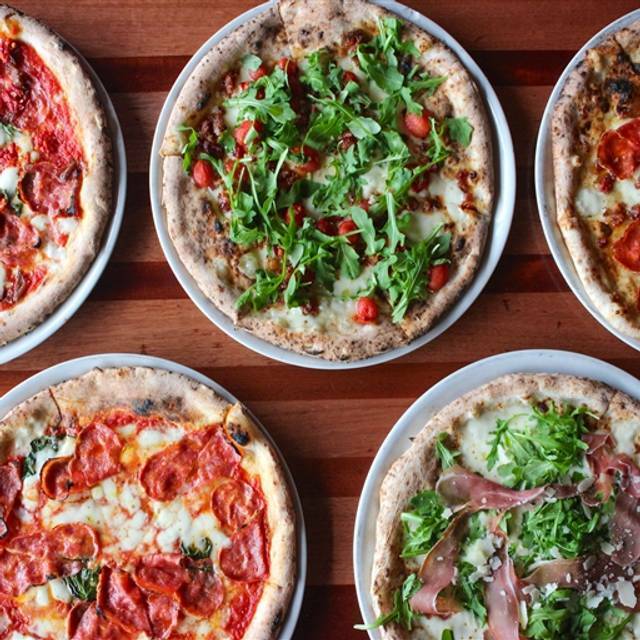 From its beginning as a mobile pizza operation to multiple locations across the DFW metroplex, Houston and Austin, TX, Cane Rosso restaurants continue to evolve and make bellies happy! 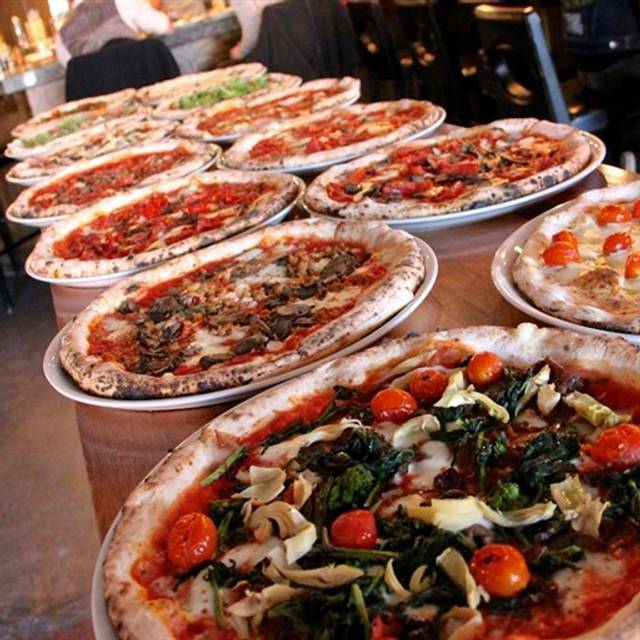 From handmade dough and mozzarella made in-house daily for our wood-fired Neapolitan pizzas to fresh pasta, authentic Italian desserts, wines, cocktails, local brews, and unique takes on classic, traditional Italian dishes, everyone is sure to find something they enjoy. Every Cane Rosso restaurant partners with local vendors, brewers and restaurant suppliers to help support it's local community. We hope you will join us for a dining experience you are sure to enjoy! Cheers! We always enjoy Cane Rosso just wish they'd bring back the fried artichokes. We had pizza and appetizers. The calamari was so-so but the spinach artichoke fritters were very good, as was the pizza. I loved the family-friendly atmosphere, but with a trendy vibe. Our waitress was super! I would definitely go back, and would recommend it to others. Really good pizza, service is amazing, good variety of beer, highly recommend this place, a little on the expensive side, but outside of that, totally worth it. It was my first time to visit Cane Rosso. Great pizzas and excellent service. The pizza and salads were completely yummy! I love this restaurant and going before 6 and enjoying happy hour, just makes it all the better! Happy hour extends to both food and drinks so you can be satisfied either way. The overall experience was great! The only complaint was that our waitress was not very good. She knew nothing about the menu and she was almost never around to check on us or anything like that. I would go back though! First of all, the food was delicious! We typically go to the Deep Ellum location but wanted to check this one out. Pros - Parking was much easier than Deep Ellum, plus the White Rock location has a cool patio and bigger bar. Great food, fun atmosphere, you can go casual but not feel out of play if dressed nice. I took my girlfriend here for our one year anniversary. It was beyond expectations! I would definitely recommend! The pizzas are truly exceptional,. The crust is a perfect Neapolitan style in a classic wood fired oven. But I was pleasantly surprised about how good their pastas are as well. Try the Bolognese. So good and so cheap! Great food - sandwiches are huge & yummy. Patio was perfect for our group - easy to talk & visit with each other. Brandon was a fabulous waiter - knowlegeable & attentive. We love Cane Rosso!! The kitchen was completely overwhelmed at brunch time. Food was coming out wrong, I got my pizza and my friends had to wait another 20 minutes. My friend asked the fried egg on the hash to be over hard and they refused to do it, and it still came out sunny side up. 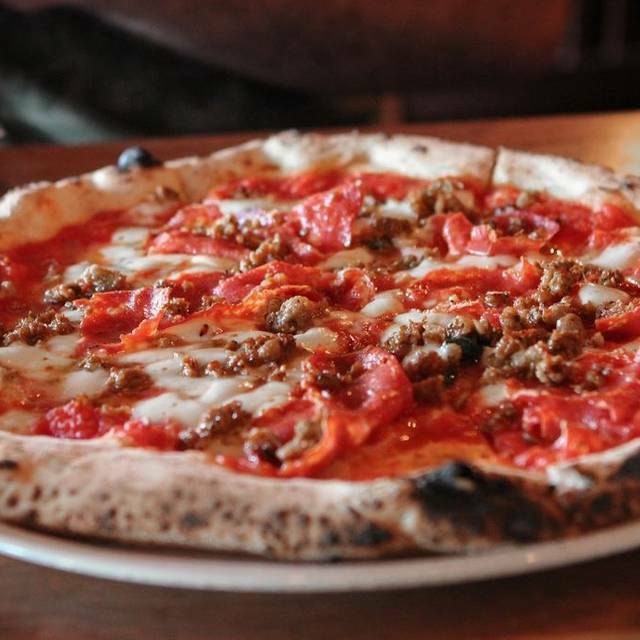 There is no better pizza in Dallas than Cane Rosso. If you don't leave room for dessert, however, you're cheating yourself. Try "the Edgar" - it's just amazing. This was our first visit here, but we'll be back. The pizzas were great, and the service was attentive. Brandon waited on us this visit and on our first one a couple of weeks ago and he is fabulous! He was knowledgeable about menu and made helpful suggestions. Food was great and ambiance is cool. Great place! Always the best pizza in town! Never a bad experience! Great brunch. Not busy at 11:30 on Sunday. Cheap mimosas. The service was excellent. Highly recommend. We have been to Cane Rosso many times, but we went this trip for their brunch menu. It was GREAT! Celebrated a class of 2018 graduation. Service was top notch!! The food is always excellent and somewhat unique. The service is always outstanding and friendly. The price is reasonable and a very good value. Great brunch at Cane Rosso. Try the $1 Mimosas paired with the breakfast pizza. The service and food had always been outstanding. It’s one of our favorite places to eat. Great service and great food! Will definitely return! Love the Mista Salad and the perfect pizza! Thin crust, not too much sauce or cheese. Delicious! Our faves are the Ella and the Emma. Enjoyed my patio brunch, even with my dog. Highly recommend it! Food was delicious and service was really good. A little pricey for pizza but we will be going back. The best Brussel sprouts and Caesar salad in town!!! Not to mention great pizza and cocktails!!! I was surprised by how many families there were. Where were u when my children were small? It was nice so thank you! Awesome wood-fired thin crust with amazing toppings (very flavorful). One of the best pizza places in DFW. Save room for the Ladybird dessert pizza (so worth the calories).